A story in USA Today details how state governments in the United States are working to keep food out of landfills and onto consumers’ plates. Tax breaks: Tax breaks are a way to incentivize those who produce waste to donate more product that may have originally been shipped to landfill without a second thought. By providing a tax incentive to donors, the government hopes to redirect edible food to people. Additionally, tax incentives may cause business owners to more carefully keep track of and monitor the amount of food being ordered and wasted, to not over order and therefore waste in the future. Cosmetic standards/Arbitrary Best Before dates: Much food waste is caused cosmetic blemishes to food, which have no affect on the tastiness or nutritional value of said food product. Loosening legislative cosmetic standards to food could go a long way to reduce unnecessary waste. Bans: Organic bans are a legislative measure which prohibit disposing of organic material, such as food waste, into landfills. They are already in place in small geographies such as Massachusetts. Bans can be useful in areas that have both a high density in population and a low amount of landfill space. They are most effective when they can be monitored by local authorities and enforced closely, with perhaps the threat of fines for not complying with the ban. Otherwise, they may not be effective as organic waste producers will find other places to ship their waste. You can read more about further legislative and corporate efforts to reduce food waste here. As consumers become more aware of the amount of food that is being wasted not only in the home, but commercially as well, food retailers and restaurants are looking towards technology to ease the issue of waste. Wasteless, capitalizing on “the internet of things,” is a startup that aims to be “the internet of groceries.” It does so by cataloging when a food is set to pass its best before or sell by date, and adjusts the price accordingly. The technology is automatic, saving the grocery store the time and staff resources to have to change the price manually. Food that is getting close to the end of its best by or sell by date can then be purchased at deep discounts by shoppers. By being able to sell the food instead of paying to dispose of it, it may assist grocery chains in reaching their “triple bottom line” of people, profit, and planet. Additionally, this technology is working to help dispel some of the myths around best before dates, which many mistakenly believe refer to food safety. In reality, best before dates are indicators of freshness, and some do not even apply if the food has remained sealed/unopened. More information about Wasteless can be found here. A new tactile, bioreactive expiry date allows consumers to feel when their food is no longer fresh. Invented by London-based designer Solveiga Pakstaite, “Bump Mark” feels smooth when a package of food is fresh and will turn rough and bumpy when it has expired. This process is due to a gelatin substance inside the package that decays at a similar rate to food. As it has similar properties to perishable food like meat, the gelatin will be affected if food is not stored properly, or exposed to warm temperatures during transportation, making it an accurate reflection of the freshness of food inside the package. The printed expiry dates we see on food today can be unclear to consumers and can contribute significantly to household food waste. Consumers have no way of knowing if food has been stored incorrectly, or if the food has gone bad while in the package. The bioreactive nature of Bump Mark offers a solution to the confusion. “The label simply copies what the food in the package is doing, so the expiry information is going to be far more accurate than a printed date.” Pakstaite said in an interview with The Guardian. When she started out, Pakstaite wanted to create a tactile that could be used by the blind, so that they could know when food had expired. However, knowing that large companies would not likely make a sweeping change for a small part of the population, Pakstaite went on to market the Bump Mark as a tool to reduce food waste as well as empower the blind. Her work has made headlines around the world and has earned her the James Dyson Award, a charity run by the James Dyson Foundation that supports innovations in technology, engineering and design. The Bump Mark can be altered depending on the food by altering its concentration of gelatin.The more gelatin in the package, the slower it decays. It can be applied to many products but it may be most useful for animals products like meat, dairy and seafood. You can read more about Pakstaite’s work on her website. 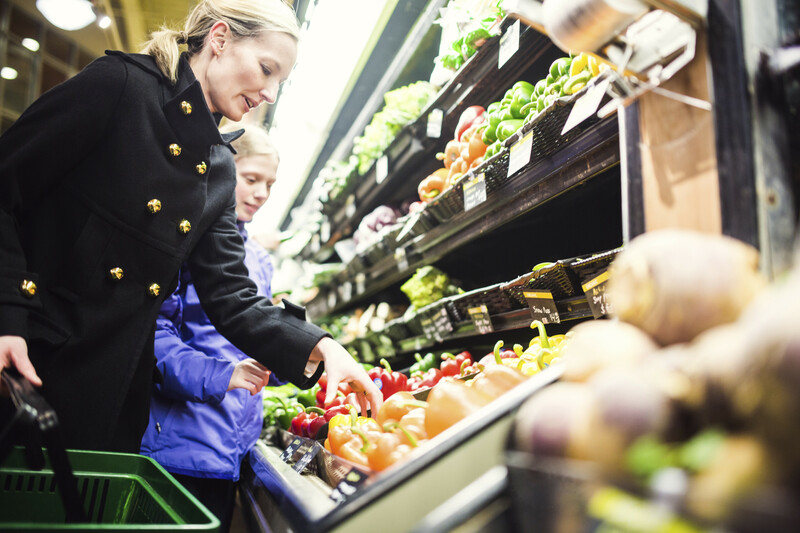 A recent study from the University of Guelph has revealed that the continual rise of produce prices are driving consumers to make changes in their diets. The study was conducted by Sylvain Charlebois, who was a UofG professor of marketing and consumer studies at the time of the study, along with marketing and consumer studies professor Lianne Foti and U of G’s food institute, Maggie McCormick. In the past year, produce prices have risen substantially with an average increase of 14%, while fruit has risen 11%. This has driven consumers to alter their buying habits and even cut back on the amount of fresh fruits and vegetables they buy. “In some locations, Canadian consumers have seen prices jump by more than 25 per cent,” Charlebois told University of Guelph News. The trio of researchers ran a survey-based study last May of 1000 people across Canada. Factors such as socioeconomic status, gender, age and education were considered in addition to behavioural aspects. Over 26% of participants reported reducing their intake of fruits and vegetables while 66% said that cost prevented them from buying one specific fruit or vegetable. Around 45% stated they had replaced fresh fruits or vegetables with juice, frozen fruits or vegetables. The research was presented on June 6th, at the annual Food and Agriculture Business Seminar. As we have been reporting in previous weeks, many countries in the European Union have been several steps to reduce food waste, primarily at the legislative level . France has opted for the “stick” approach, fining retailers for dumping instead of donating, while Italy has plans of a more “carrot” nature, with more incentives to retailers to donate rather than the fines. Now Denmark is continuing to push boundaries by opening a new surplus food grocery store aimed at the general public. 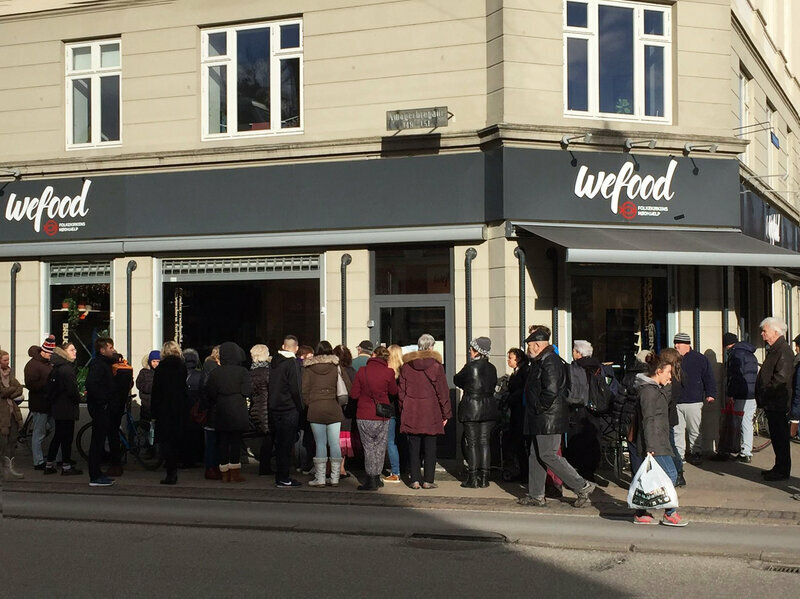 It’s called WeFood and it opened last month in Copenhagen. Food at the store is nearing or past its expiry date. The food is donated and the shop is run by volunteers. Profits from the food sold go to anti-hunger organizations all over the world. You can read more about WeFood and what Denmark is planning for the future here. In July, we wrote about French Councillor Arash Derambarsh’s efforts to lead the way in food waste reduction for the EU. Last week his efforts paid off, at least for the country of France. French grocery stores that are 400 square meters or larger are now required by law to donate all of their excess food to either food banks or charities, or run the risk of being considerably fined. Furthermore, supermarkets are now banned from tampering with food they put in bins: previously either bleached, locked up, or otherwise rendered inedible. Finally, the law has relaxed restrictions on donations that can come directly from factories, eliminating much of the red tape in the process. Councillor Derambarsh hopes French President Hollande is willing to take the rest of the EU to task on the issue of food waste, using France as an example.